You will complete this workshop with your own finished design, and the knowledge and experience of the basic skills involved to continue flameworking. Class fee is $160/$155 for VAC members plus a $40 supply fee. Attendees are asked to wear covered shoes. Advance registration is required and this workshop will be limited to 4 adults. 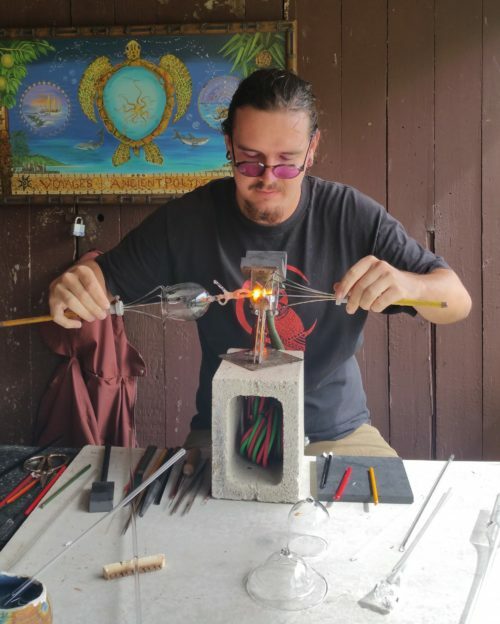 Artist Nash Adams-Pruitt specializes in functional glass art. 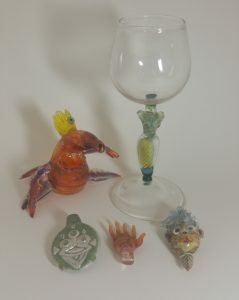 He has been working borosilicate glass at the torch for four years.